We all have our mountains to climb—in life—some tougher than others. New Zealanders seem to be good at tackling the most difficult ones, like winegrower Duncan Forsyth at Mount Edward in Central Otago, assailing the treacherous slopes and objective dangers of being a vigneron, and having reached the elusive peaks of perfection with the perilous pinot noir grape. There’s a lot of really good pinot noir in New Zealand but in reality much of it is base camp level, with a small group of eight-thousanders and only handful conquering Hillary’s Step and reaching the summit; Mount Edward accomplishing this pinnacle of making truly great pinot noir. 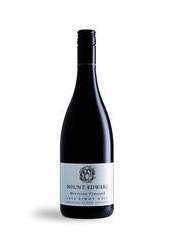 Defining the difference between good and great pinot noir; there is no problem achieving vibrant fruit flavours in New Zealand with its long, dry radiant ripening periods instilling a fleshy, juicy-sweet succulence of fruit that has an irresistible attractiveness and inherent approachability. Likewise the decidedly southern cool-climate and temperature diurnals imparting the all-important lively natural acidities with suffused freshness and balance. Complexity is invariably the aphorism for greatness in pinot noir and yet at a young age, where primary fruits are dominant—the embellishment of red, blue and black berry fruits, spices and mineral nuances—are somewhat extrapolated with a little too much enthusiasm, when in fact real secondary complexity will only be achieved with bottle age. The biggest challenge of making great pinot noir is texture and mouth-feel, this being the ultimate hallmark of the grape with its fine tannin structure however, it is not a given. Indeed pinot noir is dishearteningly unforgiving in both the vineyard and the winery if mishandled, and this is where the skills and talents of the winegrower distinguish greatness—as Forsyth has achieved with his pinot noirs displaying a deft balance between essential tannin structure and a classy silkiness—setting it apart from those pinot noirs that end up being too flabby or somewhat dry red. The individual cuvees of Mount Edward Pinot Noir are all very different in their texture and mouth-feel, brilliantly illustrating their sub-regional characteristics, but there is a consistent thread of a plush, creamy, glassy-smoothness and seemingly invisible tannins, although you can be sure the tannins are there, just cloaked in their fineness. And you can sense a gentleness in the wines; a restrained elegance that defies the underlying depth and power of fruit; indeed it is intriguing how such delicate wines could possibly have so much power energy in the carry of fruit across the palate and the length of flavour so beguilingly and thought-provoking. 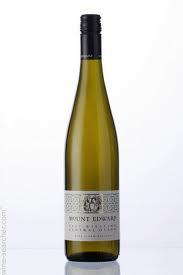 But all this talk of pinot noir when it might well be riesling that is the star grape and wines of Mount Edward. 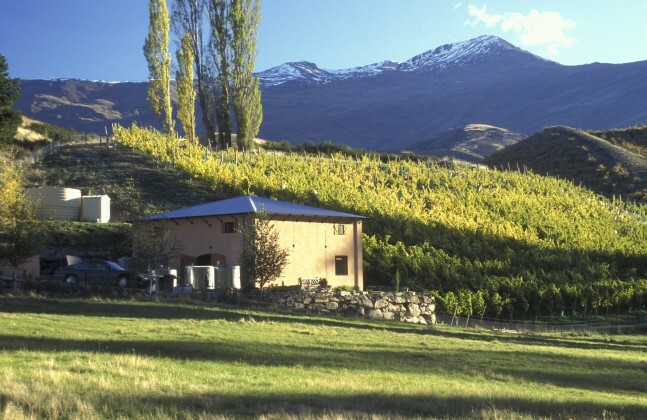 Riesling is equally suited to the terroir of Central Otago—a combination of glacial alluvial soils, schist rock-gravels and an acute diurnal during the ripening period­—the riesling grape wonderfully expressing the mountainous terrain and climate with a intense minerality and marked freshness seemingly infused in the wines. Pinot noir producers are drawn to riesling for their shared attribute of expressing site and soil so well, and expression invariably becomes obsession with the integrity of their wines intrinsically linked to the handshake of the soil. 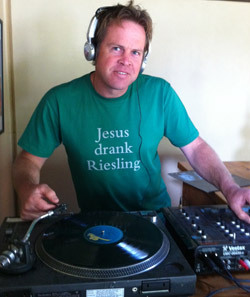 If you think his rieslings are great, wait to you try his taste in music! To say Forsyth is obsessed with riesling would be an understatement—riesling tattooed on his arm a good indication of his preoccupation­— and there also seems to be some divine intervention with the wineries gospel leanings and interpretations, that “Jesus drank Riesling”. As much as the Mount Edward Riesling’s speak of their vineyard sites, there is a stylistic consistency and even if one shouldn’t make such comparisons I can’t help sensing a likeness to the rieslings of the Mosel, with a fineness and tangible degree of restraint (what the Mosel winemakers always speak of as filigree) and the subtle honeyed nuances and tantalizing natural residual sugars so necessary to balance the nervy acidity. I have this sudden thought of the chaos if Oliver Haag and Duncan Forsyth were in the same room. They are restrained rieslings, beautifully textural and almost cuddly in their viscosity; then your palate gets a spank of acidity and you are slapped around the cheeks with intense lime and citrus, then your face dunked in a mountain stream and the taste of gravel and minerals never leaves you. Did I say subtle and restrained? You can enjoy Mount Edward Rieslings from the moment they are released but I would be inclined to put some in the cellar for a good 5 to 10 years to get the best out of them. That pretty much goes for their pinot noir’s too although I would suggest the single vineyard Muirkirk given a few years in bottle before broaching. Mount Edward new plantings of gruner veltliner are already showing great promise; it’s a no-brainer really, this Austrian native grape variety born for the Central Otago terrain and climate—expect great things here. I also enjoyed Forsyth’s dabble with pinot blanc, or is it ‘Bogan Blanc’, and whilst I have yet to try them, they have small quantities of pinot gris and chardonnay now released. It’s ten years now since winemaker Duncan Forsyth hooked up with business partner John Buchanan, obviously it’s been a very successful partnership and everything points to Mount Edward being at the top of their game. Perhaps it might be an equinox between older vines and the winemaker reaching full maturity! Below are my tastings notes on the Mount Edward current releases that I have seen; some wines may have sold out already in the New Zealand and Australia markets and the 2012 Pinot Noir will be current (available cellar door direct www.mountedward.com), whilst in export markets further afield you should be able to find these and perhaps some older bottles. It always pays to dig around; I found a few bottles of the Muirkirk and Morrison Pinot Noir from the brilliant 2010 vintage lurking at Glengarry Cellars in Wellington the other day. And I spotted some 2010’s on Wine Exchange Asia in Singapore that should be snapped up. Fresh cut apple, lifted, zingy, nettly-mints, Thai mints, lime, white clover honey nuances, white plums, gravelly minerality. Explosive palate, piercing lime/lemon succulent and gushing with juicy grapefruit and mandarin tangy sweetness, full and viscous yet incredibly racy with a tantalising lemon and palm sugar interplay and peppery spiciness, fantastic cut of acidity with tailing of cold iron and granite minerality, lingers to a subtly off-dry farewell–powerful and assertive, mouth-watering, expressive Central Otago riesling at its best. Brilliant with roast pork, and pork salad with the leftovers, tried and tested – click here Also a seriously good all-rounder for South-East Asian cuisines and communal dishes. Wonderfully perfumed, musky, floral wildflowers, ripe pears and white peach, touch of apricot, interesting pungency with hints of blanched almonds and salty-minerally nuance–sensational bouquet. Deep-seated lime and grapefruit engulfs the palate, viscous and fleshy, mouth-watering with a long carry of intense mandarin and apricot piquancy, amazing length and persistent lime, a rush of acidity keeps up a lively interplay with subtle sweetness. This is the sort of riesling you can drink in winter, without feeling cold, served with a plate of smoked meats and sausages, or Choucroute Alsacienne. Also good hand-to-hand combat for spicy Asian dishes. Fresh apple and stone fruits, apricot kernel, subtle hints of Manuka honey, concentrated lime juice, baked apples/tarte tatin on the palate, really fleshy and textured, powerful lime chassis with a tantalising balance of sugar and acidity lingers forever, infused with slate­–brooding though and would be best cellared for a good 5 years…and I would suggest, in the passage of time, this will be the sort of wine you drink on its own and just soak in the complexity, or after you’re saturated with red wine over dinner, hook into this and your palate will be reborn, maybe have some soft, gooey cheese and dried apricots too. Bright red cherry, blueberry, rose petal perfume, cinnamon spice, alluring tobacco and herbal complexity, the palate crunchy and edgy with intense redcurrant and raspberry fruit, touch of herbal-savoury complexity coming through along with a peppery-spiciness, soft and plush texture, ethereal as it moves across the palate and kicked along with fresh acidity and savoury tailing. Supreme effort from a reportedly tough vintage–good example of why you follow the winegrower. I was thinking how good this would be with Peking Duck, and now craving it. Deep, rich perfume of plum and dark cherry with concentrated berry-fruit sweetness, enticing herbal dried-thyme and black tea nuances, lifted spiciness and smokiness, some ducks guts, meaty-gamey complexity, exuberant bouquet, equally plush and wonderfully creamy textured palate, silky, creamy-smooth and layered with rich berry-fruit, lively acidity freshens and savoury notes of balsamic, soy and tea leaf tame the fruit sweetness, seamless with invisible tannins, exudes class­–perhaps comparatively subdued for this Bannockburn vineyard but I sense despite its approachability, will be long-lived. If you have to drink it now, make sure you have it with a haunch of venison, or slow-braised soy duck. Lifted mellifluous perfume of bright red cherry, raspberry, poached strawberry, very much in the red fruits spectrum, augmented by peppery spiciness, infused minerality, gravelly, cold rocks, piercing fruit on palate entry, wow, a torrent of intense raspberry and red currant, spicy and tingly dancing across the palate, about as lively and energised as it gets, great acidity and carry of redcurrant, raspberry engulfs the senses, my kind of pinot noir, seriously svelte and racy with the sort of concentration and liveliness that reminds me of the great Henri Jayer. Arguably my favourite New Zealand Pinot Noir at the moment and seriously versatile with spicy food­–arm yourself with this and head to your best Indian restaurant and don’t worry about the Tandoor, it will handle it­–I can taste the Tandoori Roast Barbary Duck at Punjab Grill by Jiggs Kalra in Singapore­–heaven! It’s also the sort of pinot that will actually go with grass-fed lamb, with the requisite acidity and cut to keep up with all that wonderful alpha-linolenic acid and one of the highest contents of conjugated linoleic acid, apart from kangaroo!